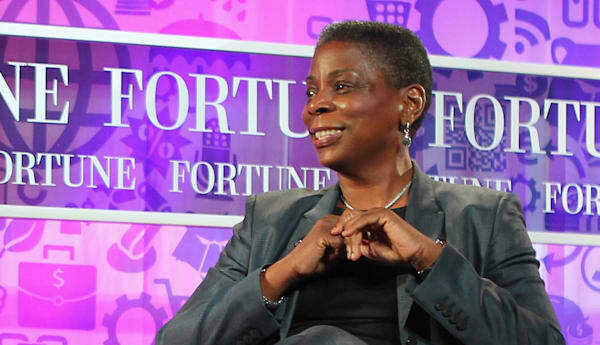 Paul Morigi/Getty ImagesChairman and CEO of Xerox Ursula Burns speaks onstage at the FORTUNE Most Powerful Women Summit on October 17, 2013 in Washington, DC. How can you enjoy your job if you don't feel stimulated and challenged? Creativity was a prevailing topic of discussion at the Fortune's Most Powerful Women Summit in Washington D.C. on Wednesday and Thursday. A roster of esteemed women - and a certain male ukelele-playing business magnate (see below) - attended the summit to talk big ideas in business, government, academia, philanthropy and the arts. Among them were Facebook's Sheryl Sandberg, IBM chief Ginni Rometty, Yahoo CEO Marissa Mayer, Spanx founder Sara Blakely, Xerox CEO Ursula Burns and retired pro-tennis legend Martina Navratilova. They shared many nuggets of wisdom between them that were rich with valuable, forward-thinking career advice. Below are AOL Jobs' favorite tweets to come out of the talks. If you want to see more, check out the hashtag #FortuneMPW. Sometimes we may feel our bosses owe us - and that can be the case, especially in certain legally fraught situations - but considering your job from this perspective could refresh your interest in your work. Jobs session at #FortuneMPW discussing lack of skills & need for better cooperation w/ technical schools. A familiar theme from my campaign! Many of the jobs that made our Most Underrated Jobs list require technical know-how. There's been a lot of movement to get girls interested in math, science and technology, although there are still many challenges, such as pervasive biases in those circles, which AOL Jobs and other outlets have reported on. But all the more reason to steer your own ship, ladies, and follow in the footsteps of entrepreneurs like the founders of Girl Develop It. Re-energize your career with curiousity - or even a game-changing idea. Why hire overseas when there's so much untapped potential here? If it costs more, that would only be the case for the short run. A good investment will pay off. A creative take on stimulating creativity. Touché. I don't think this is sound advice to give soon-to-graduate millennials, especially considering that 2013 was named the worst year to graduate college, but hey - dare to dream. Be humble and seek out constructive criticism. It can only make you a better person.